Looking for a weekend event the whole family can enjoy? Then come on down to the Douglas College Fall Fair Sept. 17! 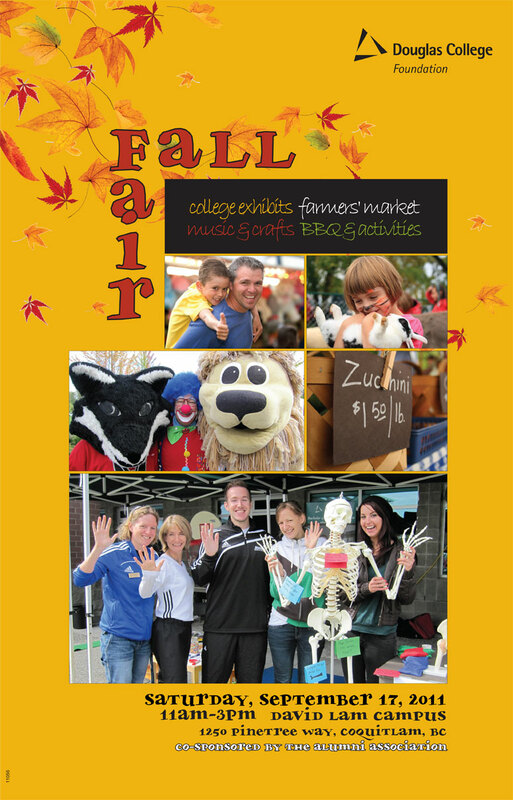 The Fall Fair is an outdoor family fair showcasing Douglas College and community groups. Enjoy bands, sports activities, games and crafts for children, educational stations, interactive displays and a farmers' market. There will also be a barbecue, so get ready to picnic on the grass. Admission is free. Exhibitors pay a small fee, with all proceeds going to student aid. 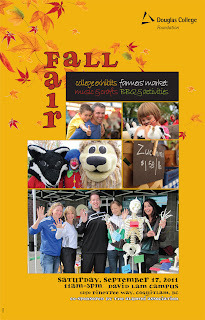 The Fall Fair takes place Saturday, Sept. 17, 11am-3pm, at the Coquitlam Campus, 1250 Pinetree Way.